Mom to 3 teens, Joan really does love her chocolate. Sweets and travel are her passions. She has a secret stash she hides from the kids and she has at least one bite of something chocolatey every day. 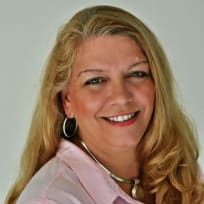 The creator of the popular site and Facebook page Chocolate, Chocolate and more, she creates easy recipes any skill level can achieve to satisfy the sweet tooth in everyone! 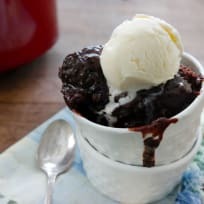 Slow Cooker Chocolate Lava Cake - dust off the slow cooker for this warm cake with a molten chocolate bottom. Top it with a scoop of vanilla ice cream for the ultimate dessert.